If you have committed yourself to a career in opera, you know that Bach's music will remain out of reach. Still, all classically trained musicians have been educated from the beginning with the aid of Bach's music. With a sense of tonal harmony, counterpoint, rhythmical patterns and character the backbone of a musician's life is formed. This Summer, I gave myself a musical holiday from the theater, and spent several weeks reading and listening to Bach's music: vocal works, keyboard compositions, whether educational or purpose-made for use in church, there is a multitude of sources. I especially enjoyed revisiting The Well Tempered Clavier, which I had studied for many years when I was a student. This time, however, I sampled different recordings in a search for a sympathetic sound, and this I found in the album by Angela Hewitt. This expressive pianist plays the Preludes and Fugues with temperament, flexibility and a singing line when needed. The Fugue in G-minor from the first Book is a good example of the severity of this compositional style, where the musical ideas are shaped in strict technique, yet infused by Bach with rhythmical liveliness. Another highlight of my quest was to explore the Cantatas. Here I felt that Ton Koopman's recordings with the Amsterdam Baroque Orchestra & Choir makes compelling readings of this music. The famous Choral "Wohl mir, daß ich Jesum habe" shows how Bach mixes an ongoing orchestral texture with choral statements. How affecting that the voices should intersperse their entrances with their luminous Lutheran hymn, while the orchestra continuously spins their 9/8 figurations. “Bringet dem Herrn Ehre seines Namens” starts with an orchestral introduction and then leads into a vocal fugue. As so often with this style, the main idea or subject is repeated in imitations. Each part with its own voice adds up to a whole, and the simultaneity of the individual parts form a complex whole, a rich sound that the listener associates with the profound and serious. 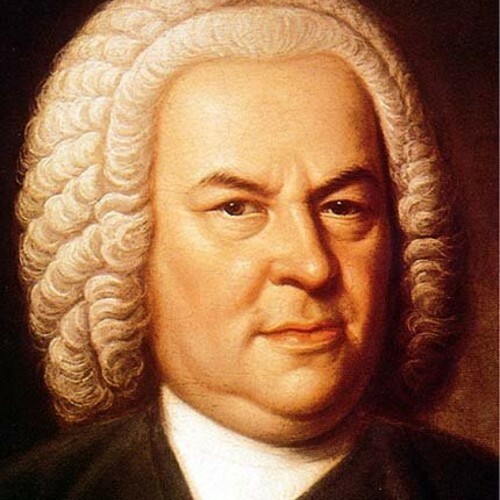 The BBC recently aired a program called "Bach, a passionate life", presented by John Eliot Gardiner, in which he expresses that Bach's image had been made stiff over time as people idealized the composer of so much serious religious music. "Our image of him is skewed by statues and by paintings of a stern, forbidding figure in a frog-coat and a powdered wig". But Johann Sebastian had also been a passionate man, twice married and father of many children, plus his music is full of energy and full of life. Gardiner's recording of "Jesu, meine Freude" with the Monteverdi Choir is a treasured memory of the time I studied this piece in Vienna. In particular, "Gute Nacht o Wesen" is very expressive of tiredness, mixed with remorse and sadness. My explorations into repertoire I didn't know as well introduced me to the Musical Offering and The Art of the Fugue. But I also solemnly re-visited the Passions, admiring the grandeur of these somber and very moving pieces. And one sure culmination to all these impressions came from the Mass in b-minor, Bach's setting of the Latin Mass ordinary. I searched and found a recording by the Thomaner Chor from Leipzig, recorded at the St. Thomas Church, where Bach worked and performed all his mature life. This sound got to my heart. It is not just the magnificence and variety of expression in the b-minor Mass, which for sure can awake admiration, but it is very specially the concluding "Dona nobis pacem". This music expresses the desire for peace, and it gives that very peace that it longs for. It is as if the complexity of expression found in Bach's many compositions came to a halt, to a moment of leave-taking. Truly, this makes a soothing sound, and I, an opera loving conductor, pause all the drama of stage music in my head, and rest my musician's soul in this hymn to peace.